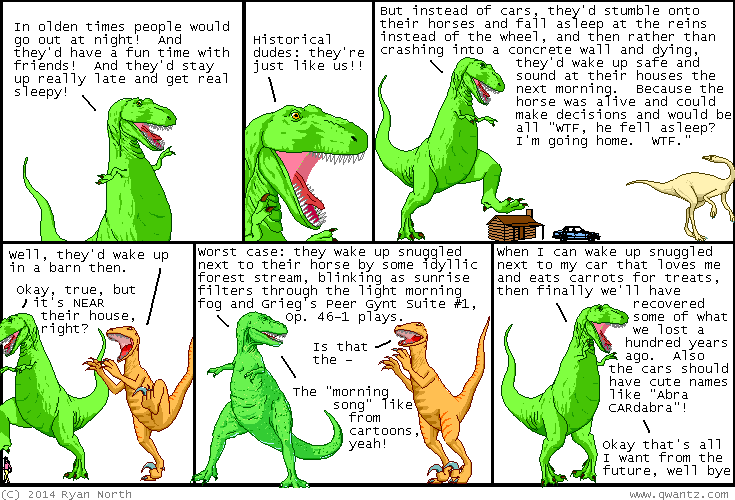 Dinosaur Comics - March 10th, 2014 - awesome fun times! –...GETTING HIT ON THE HEAD BY A METEORITE? March 10th, 2014: Here, let me save you some time! ALSO: this morning Galage #100 - the very last Galaga Comic! - posted, and now you can see the final joke I've hidden in the comic this whole time. Thank you all for reading this crazy comic about a crazy game from the 80s and I hope you enjoyed it!